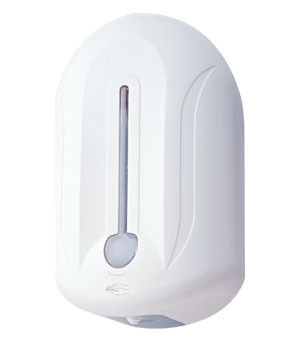 EST02 Hand Sanitizer Dispenser Disinfector kills 99.99% of most common germs, HINI Virus & Flu Virus that may make you sick. It will Automatically Spray (mix of soap and water) into the palm of your hand, and then rub your hand together briskly until dry. It will feel a little sticky when you first rub your hands together, but this only lasts a few seconds. It won't leave any sticky after feeling, and your hands will feel nice and soft.